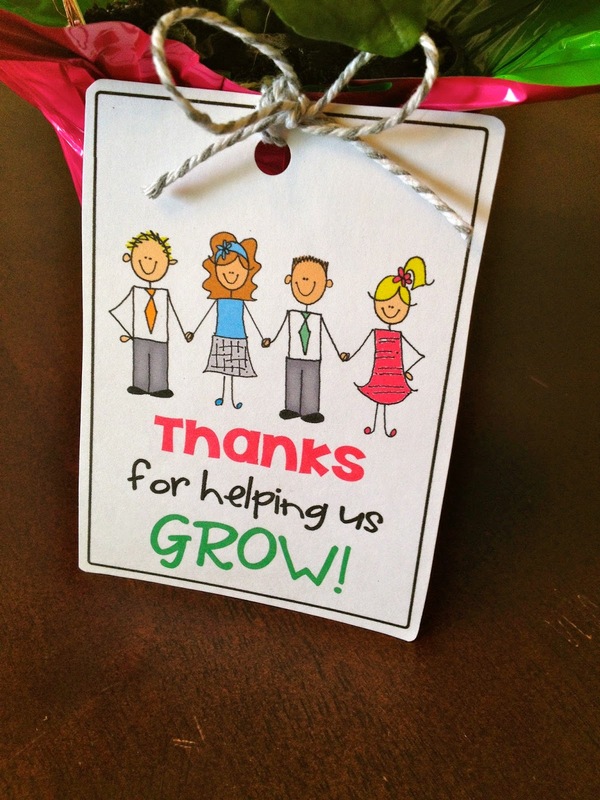 It's the end of the year, do you need something to give your child's teacher? Below I have some cutesy craft ideas. But . . . I truly think the best gift you can give a teacher is a simple thank you card. Express your thanks for their long days, repeating the same math problem over and over, and for loving your child. Because they do. I am forever thankful to my daughter's 1st grade teacher that taught her "You get what you get, and you don't throw a fit" and other adorable sayings. She would go around the house spouting words of wisdom at her frustrated siblings and sometimes parents. I still crack up whenever I hear it. But if you want some cutsey craft ideas, I didn't let ya down. Here ya go! Note for soap. We gave this give at the beginning of the year and both my kids gave me this weird look and said, "Why are we giving our teachers soap?" ha ha. They didn't understand the awesomeness of nice smelling soap!